RIVER HEIGHTS, Utah (AP) _ Elise Wright acts just like any other 8-year-old girl. She likes to jump rope and play with her siblings. But she is a little different. She was born with an underdeveloped left hand. When Elise was born, her parents were concerned about how she was going to cope and learn, and do all the things other children can do, according to KSL-TV (http://bit.ly/1GaBJxm). But they didn’t need to worry. 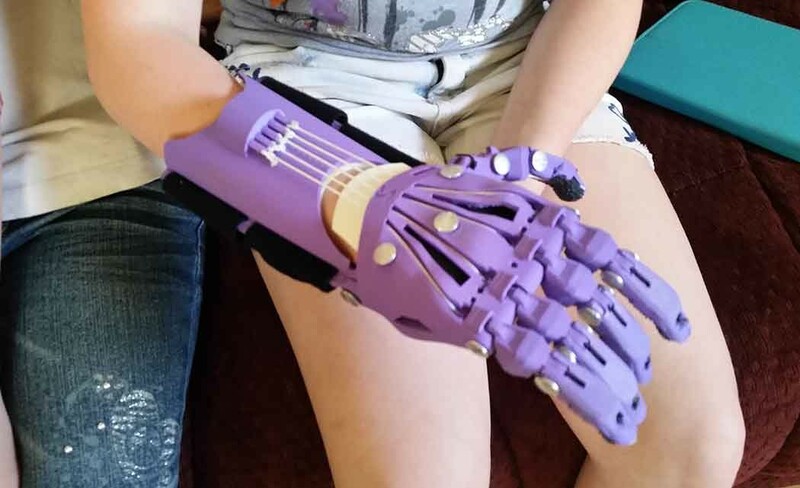 Recently, the very determined girl got something her parents never thought she would because it cost thousands of dollars: a prosthetic left hand. A neighbor told them about a program they saw on television about 3-D printed hands. They contacted the Helping Hand Project, started by Jeff Powell, a University of North Carolina-Chapel Hill biomedical engineering student. The idea behind his project was to create affordable prosthetic hands for children who need them. It took about four months for the hand to be designed, built and shipped. It cost about $70, which the charity raises for each child. It won’t take money directly from parents. “At first when I got it, I just went through the house picking up stuff to see how it worked,” Elise said. Inside River Heights Elementary on Friday, the second-grader wore her new left hand to school for the first time. Her classmates thought her hand was awesome, and so does her 11-year-old sister, Lauren. The hand is simple. Elise said she just bends her wrist to grip items. For a girl who is determined and perfectly capable of doing things, the hand has opened up a whole new world of possibilities. “Now I can do things better with it,” she said. But as mom and dad will tell you, that purple hand will help in some situations, but Elise still plans to do a whole lot with her baby hand. Holly Wright said the prosthetic will come in handy when her daughter needs to do those very few things that she’s not able to do. For her birthday in March, Elise got a new bike. She was a little nervous, her dad said, because it didn’t have pedal brakes.